The crew of US surveillance ship, the USNS Impeccable have rescued 11 Filipino fishermen from a sinking boat in the South China Sea. 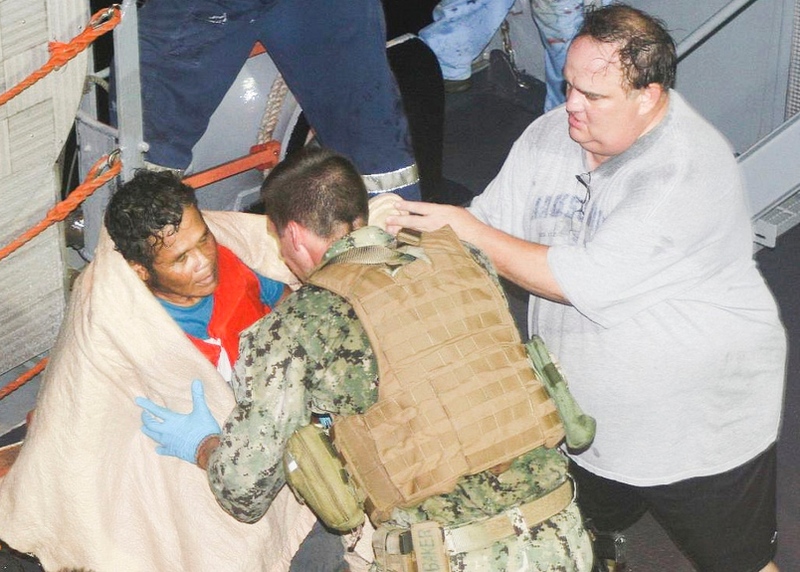 Navy officials said the Impeccable was en route to Subic Bay for a scheduled port visit when it spotted the terrified fishermen aboard a semi-submerged vessel. Their boat was about 115 miles from the coast when discovered. The Navy crew launched a rigid hull inflatable boat and rescued the crew before delivering them to the Philippine Coast Guard upon arriving in port. The fishing boat was not in the vicinity of any contested reef or shoal. It remains unclear why the vessel foundered.